In 2013, Iran’s Revolutionary Guards began recruiting Afghan Shiites to fight in the new Fatemiyoun militia on behalf of Syrian President Bashar al Assad. Most of the fighters came from the estimated three million Afghan refugees living in Iran. Over the next four years, some 50,000 Afghans were deployed to Syria. The most common motive was economic deprivation, but religious sentiments also played a role. The Fatemiyoun spearheaded some of the toughest battles against anti-government forces, often taking heavy losses, according to a report by Ahmad Shuja Jamal supported by the U.S. Institute of Peace’s Asia Center. At the end of 2017, Iran started downsizing the force as the Assad regime made significant gains against ISIS and rebel groups. 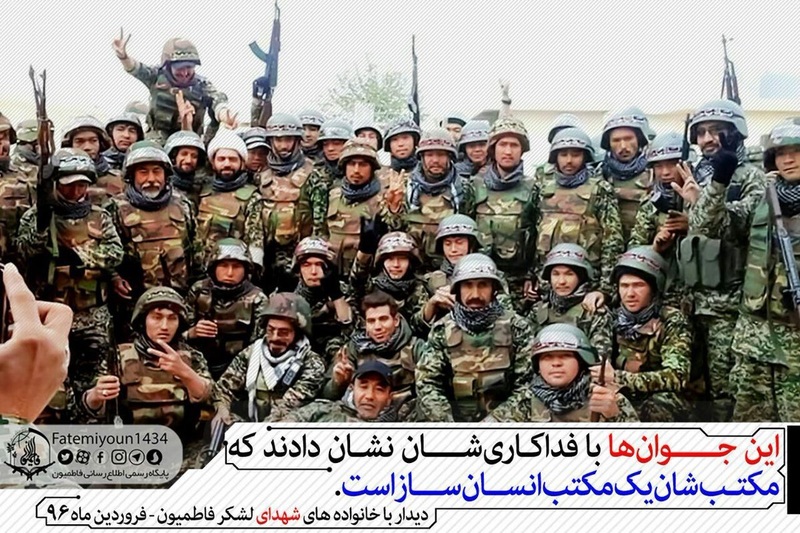 Fighters were sent back to Iran and Afghanistan. Reintegration of former fighters in Afghanistan could be a key component to a durable peace. “The existence of the Fatemiyoun, whose numbers rival some estimates of Afghan Taliban strength, has raised concerns over the emergence of a generation of Shia Afghan youth motivated by their sectarian identity and armed with military experience in the Middle East,” the report warned. Nearly all Shia political and religious leaders oppose sending Afghan Shias to fight in Syria, though some leaders support the fight against the Islamic State. There is also strong opposition among the families of Fatemiyoun fighters, many of whom seek to dissuade their sons from going to Syria. Religious and political elites expressed concern about the lack of economic opportunities in Afghanistan’s Hazara areas, increasing marginalization of Shias and Hazaras, and the lack of government attention to the security of Hazara and Shia areas. They cite these factors as possible contributors to future mobilization of armed Shia and Hazara local defense groups. Thousands of former Fatemiyoun fighters are returning to Afghanistan, where they are struggling to reintegrate and feed their families, and are living in fear of a possible crackdown against them by Afghan security forces. Based on field interviews in Kabul, Mazar-e-Sharif, and Herat, this report examines the origins and motivations of members of the Afghan Shia Hazara communities who joined the Iranian-backed Fatemiyoun, a military force that has fought in the Syrian conflict since 2013, and their reintegration into Afghan society. The project was supported by USIP’s Asia Center. Ahmad Shuja Jamal is a Fulbright scholar at Georgetown University’s McCourt School of Public Policy, where he researches and writes about international security and human rights. He would like to thank Nawroz Raja, Morteza Pajhwok, and Ali for their invaluable contributions, as well as all those who shared their stories.